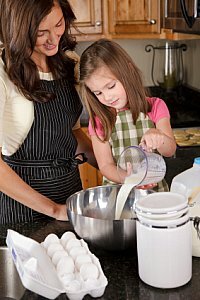 10 Reasons Why You Should Cook With Your Kids! Here are 10 benefits of cooking with your children. Learning to cook helps children to learn about nutrition and healthy eating. They are growing up with fast food and junk food at their fingertips, which is part of the reason why child obesity is on the rise! Teaching kids to cook will help instill skills to last them a lifetime. Boost their self esteem. If your child needs a boost of self confidence, (and who doesn't!) cooking in the kitchen will do just that. They are accomplishing a task, learning something important, and contributing to the family. Create family time and bonding. Take time to cook with your children and they will have memories that they can pass on to their families. It may take a longer time to get the meal or snack made but the moments with your children will be priceless. (Just remember to have patience and don't worry about flour on the floor or spilled milk). Kids will be more apt to eat what they make. Perhaps, it is the enthusiasm of creating something themselves, but children will be more likely to eat whatever they had a hand in making. Cooking will help reinforce subjects like science, language, math and creativity while cooking! 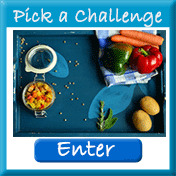 Visit What do Children Learn While Cooking page for more details. Cooking is a great way to learn life skills. This can be especially helpful when kids are on their own and won't have to rely on fast food and junk food to sustain themselves. Children can help contribute to the family and can feel the importance of helping. Children can learn to work together as a team, whether it is with a parent or with a sibling to get the job done. 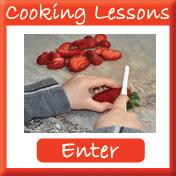 Cooking teaches kids about planning and making choices. While cooking kids can practice creativity and use their imagination. 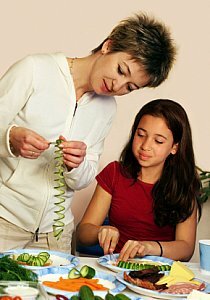 Kids cooking activities are a great way to express themselves and enjoy their creations. Read more on reasons for kids to learn to cook. Through the years I've come to understand just how much kids love to cook and want to help in the kitchen. When children are young they pretend to cook in the kitchen, make mud pies in the sandbox, and what kid hasn't made bubble cakes in the bath tub? Kids do cooking activities all the time! Educators whether they are homeschooling, teaching in a school system or volunteering in a youth program all have one thing in common, lack of time. You can find them up late at night planning for classes and using any spare time they have for lesson planning and idea research. With our plans and ideas you will still need to do the grocery shopping but you?ll never have to plan a cooking lesson again. 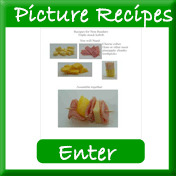 So put on an apron and lets get started with Kids Cooking Activities. 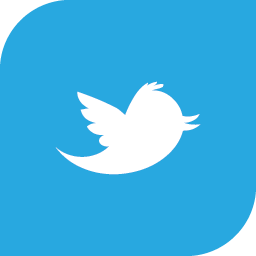 We have several ways you can keep in contact with us. We have a Get Cooking Club that goes out twice weekly with advice, articles and tips on kids cooking. 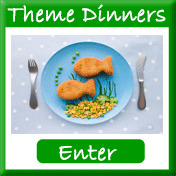 There is a lot of wonderful information, cooking projects and children's cooking activities on our site. Over 700 pages + hundred's of our readers submitted recipes and ideas to help you find ways to cook with your kids. 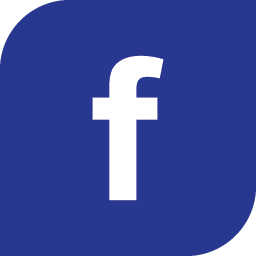 Signing up for our weekly news and social networks allows you bite size pieces of what we have to offer. Here are some different ideas to help you get started cooking! I just have to say that I am thrilled to have found your website. I run an Autism Resource classroom for students K-2 and I have made it my goal to include daily cooking activities in my curriculum as part of life-skills learning for my students. It has been very hard coming up with every single day activities, but your recipes and lessons will make my life so much easier.